When you’re starting a publicity campaign or creating a year-long media plan, remember that the “spray and pray” technique of pitching hundreds of media outlets with the same one-size-fits all pitch, and then praying that they will respond, doesn’t work. Instead, you need to define the target audience you’re trying to reach, create story ideas about your business or nonprofit, and then determine which ideas should be pitched to which media. 1. What general interest publications does your target audience read? 2. What print newsletters or specialty publications do they read? 3. What online newsletters or ezines do they subscribe to? 4. What blogs to do they read? 5. What national newspapers or magazines do they read? 6. What trade publications do they read? 7. What radio programs do they listen to? 8. What television programs do they watch? 9. What news feeds do they subscribe to? 10. On major social media sites do they participate? 11. On which topic-specific social media sites do they participate? 12. What timely or controversial topics is your audience interested in? 13. What general interest publications would serve your needs? 14. What print newsletters do you want to get into? 15. What online newsletters, ezines, online discussion groups or blogs do you want to get into? 16. What national newspapers or magazines do you want to cover you? 17. What trade publications do you want to get into? 18. What radio programs do you want to get onto? 19. What television programs are you targeting (don’t forget cable programs)? 20. What other publications are interested in the timely or controversial topics in which you consider yourself an expert? 21. What media contacts have you already made that will help you meet your publicity goals? 22. Which podcasters might be interested in interviewing you? 23. What blogs might be interested in a guest blog post written by you? The beauty of this strategy is that, if done correctly, you aren’t pitching one story idea to a variety of media that serve different audiences. Pitching fewer outlets instead of more also gives you a chance to research media outlets BEFORE pitching them, which will give you a huge advantage over everyone else who’s pitching. 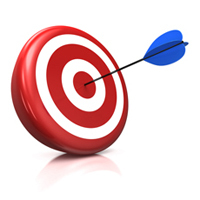 What other ways do you target media that area ideal for your publicity campaign? Thank you for your work! It’s appreciated! Love this idea Joan. Based on your advice I build up dossier files on target publications. The best story ideas are based on what they are already doing.